Your office reflects your company's values. A beautiful office space tells your customers that you are committed to quality in every aspect of your business. 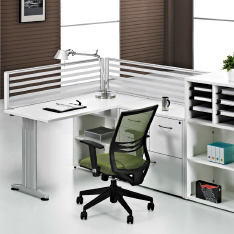 Creating a beautiful and efficient office space has many advantages. 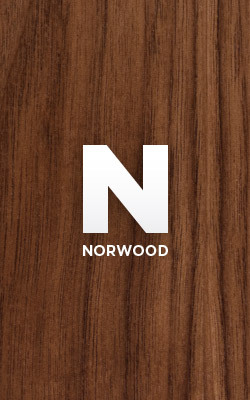 At Norwood we have the expertise to transform your existing office space into a new and improved modern working environment. 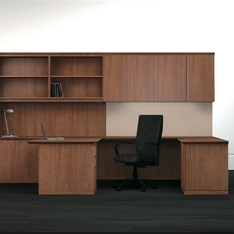 Located in Edmonton, Alberta, Norwood Office Furnishings is western Canada's premier office furnishing retailer. Please explore our featured products, view a sampling of the collections we carry, and contact us today. Latitude embodies the culmination of intelligent European design and North American inspiration. 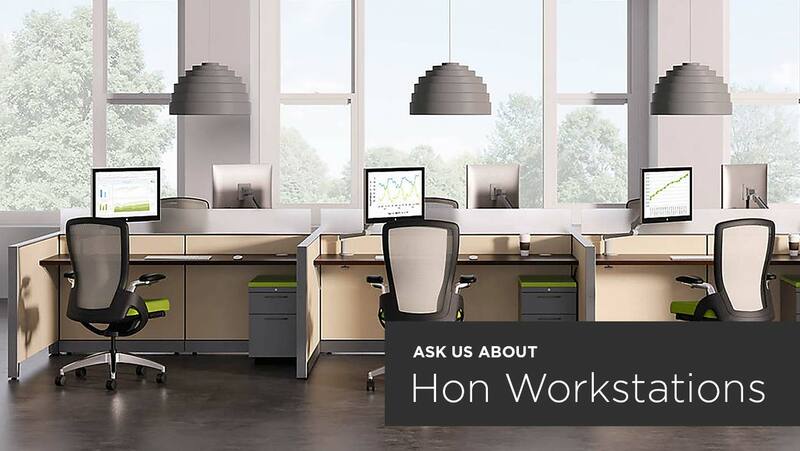 The results are harmonious work environments that express individual taste and comfort. 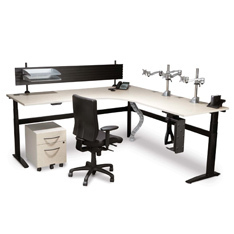 E-motion is the latest ergonomic table system from BRC. Like its big sister Motion, it is ruggedly built with all steel legs and top frame and easily complies with ANSI BIFMA specifications. Artelite specializes in office furniture with products ranging from tables to chairs and seating furniture to complete desk solutions. Artelite is located in Montreal. The Petal has multiple layered cushions for a fun and contemporary look. 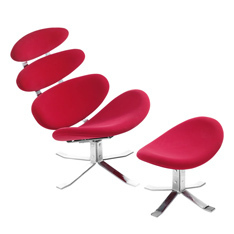 It has a velour microfiber seat and back with solid steel chrome frame with a swivel and an ottoman. 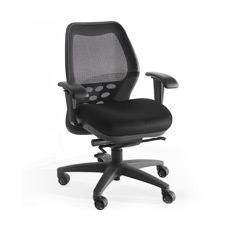 The CXO chair offers a refreshingly cool look that will enhance any office environment. 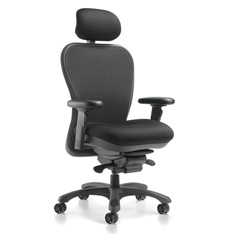 The simplicity of design and function makes this ergonomic chair an effective performer, providing “Extreme Comfort”. The CXO series of chairs is a seating solution that provides awe-inspiring comfort and support that can always be counted on. SXO creates a remarkable first impression with its sleek, striking appearance. This unique seating solution continues to impress by keeping your comfort in mind with innovative features. Volt offers more comfort, function, and style for the money, and now comes in more colors than ever before. 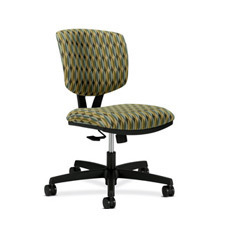 Volt adapts to each user with simple comfort controls for added flexibility. Arms sold separately. Is it possible to love a lateral file? We think maybe it is. 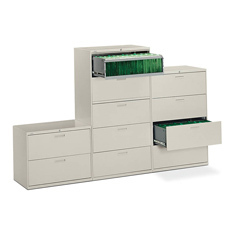 Our 500 Series lateral files inspire great devotion in offices where they’re an essential part of the daily work routine. Available in drawer heights suitable for any office. A more customizable, more functional, more practical version of a conventional pedestal. It'll hold just about anything you might need during the day. It puts everything within easier reach than just about any other storage solution. 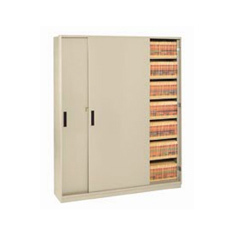 L&T Shelving provides the highest filing density per square foot, whether you're filing letter or legal- sized documents. 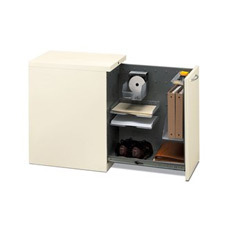 L&T can be configured to offer single or double-sided record access for easier filing and retrieval in less space.